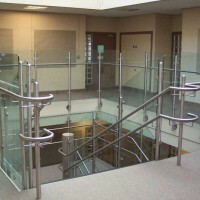 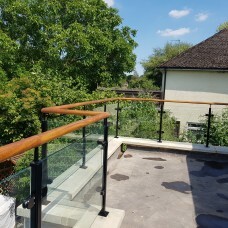 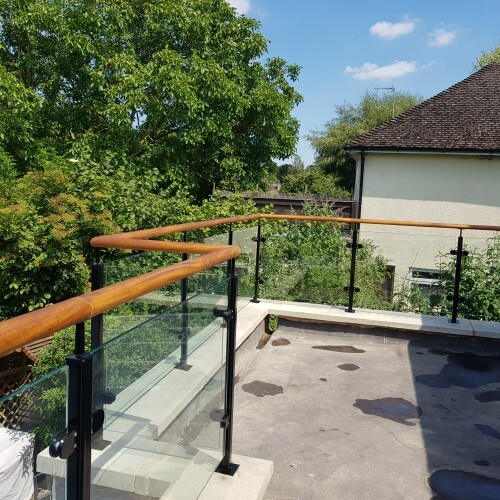 Galvanized and powdercoated glass infill balustrade with iroko wooden handrail suitable for staircases, landings and balconies. 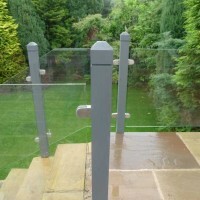 All steel is galvanised and powdercoated - any colour available. 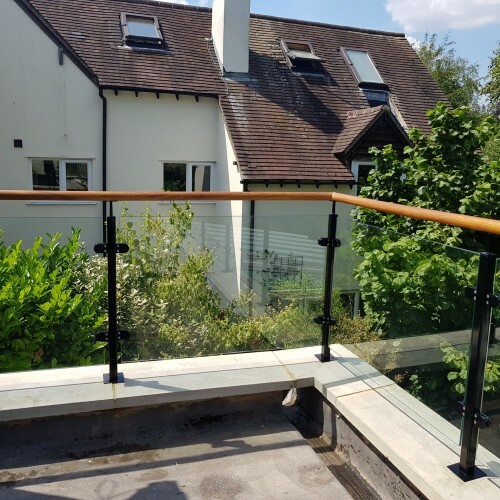 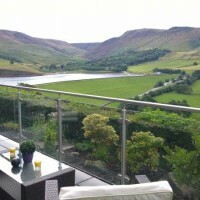 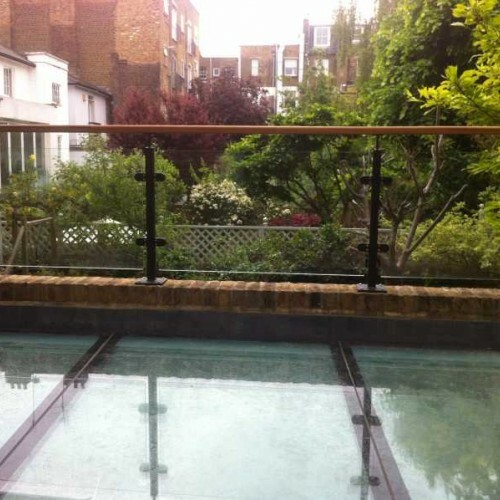 If your balustrade requirement works out close to a round meterage you can click to buy online using the calculator on the right - Simply select the fixing detail, quantity required and amount of corners involved. 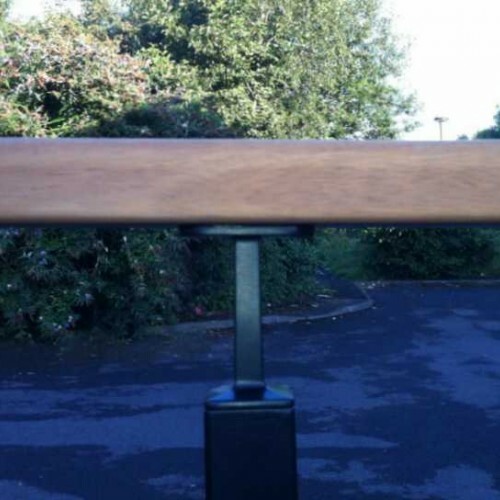 Generally within 4 weeks from order placement.